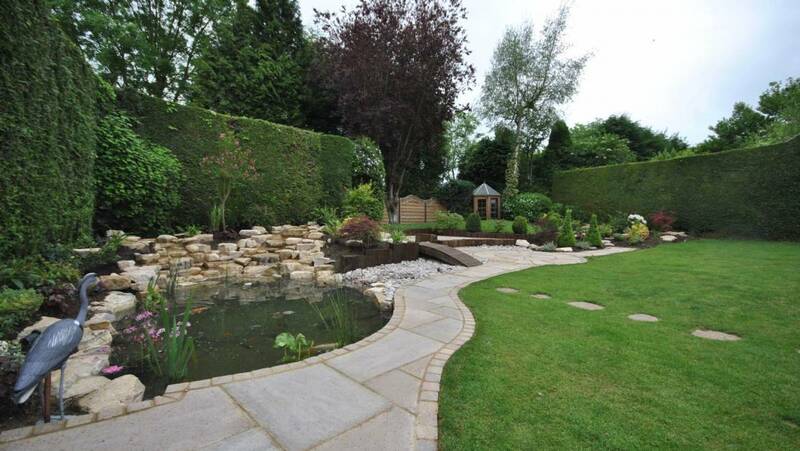 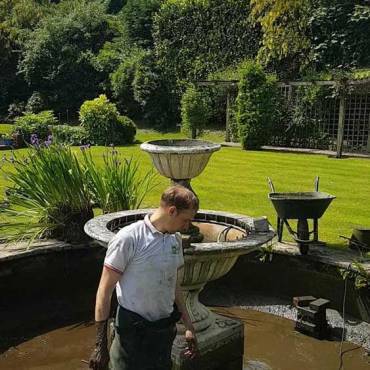 A new pond, rockery and landscaping garden design in Hemel Hempstead, Hertfordshire. 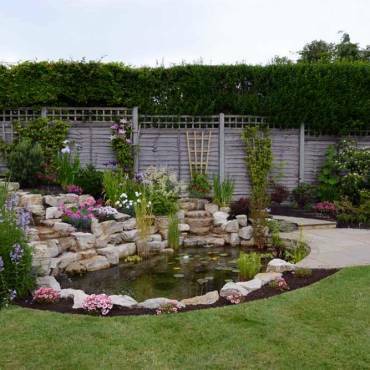 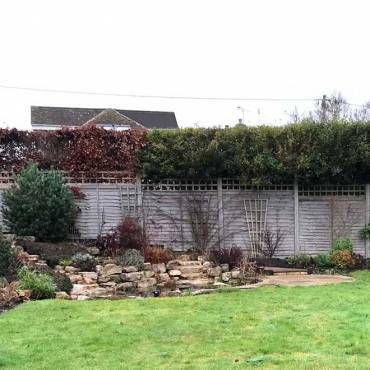 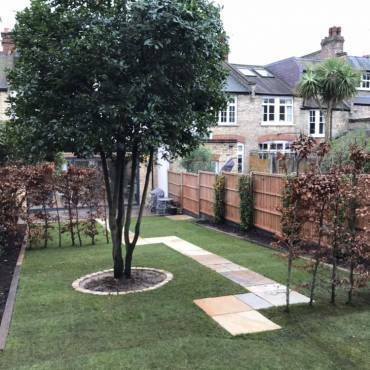 Our client wished to retain the original template and the final design incorporated a brand new rockery and pond, patio, pathway, timber bridge, railway sleepers and a planting scheme. 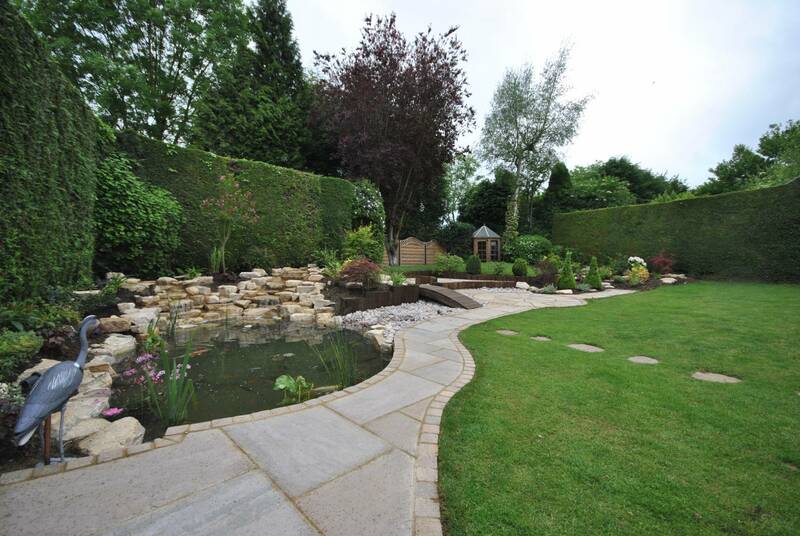 The overall effect brings all aspects of the design together, flowing comfortably from one side of the garden to the other.